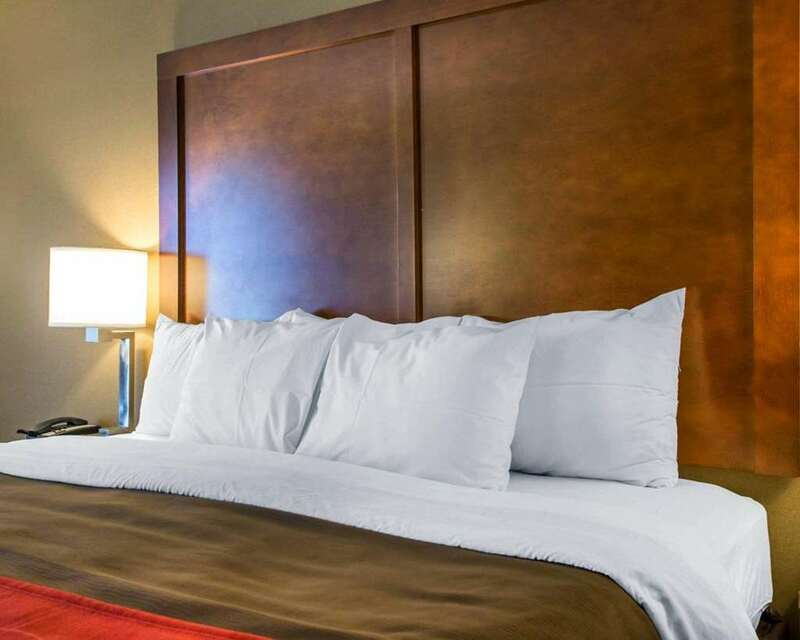 The Comfort Inn Dayton - Huber Heights hotel in Dayton, OH, will get you refreshed and ready to go for business or leisure. Dayton International Airport, Wright-Patterson Air Force Base, Hara Arena, University of Dayton and Wright State University are nearby. Our valued guests enjoy amenities that include free hot breakfast, free WiFi, an exercise room, free weekday newspaper, free coffee, guest laundry facilities and a business center with a meeting room for 35, computer with Internet, copy and fax services. Each comfortable guest room features a coffee maker, TV, hairdryer, iron with an ironing board. Select rooms feature a refrigerator and a hot tub. Also, earn rewards including free nights and gift cards with our Choice Privileges Rewards program.